Rewarding your customers certainly benefits them but what are you getting out of it? Introducing a loyalty program will allow you to collect valuable customer data so you can identify key information and segment customers. Continuing to learn more about your customers will hep you tailor your program to their preferences and increase engagement. Ever hear the 80/20 rule - where 80 percent of your sales will come from 20% of our customers? Customer retention is the key to healthy business growth. It costs less to maintain customers than it does to acquire new ones! 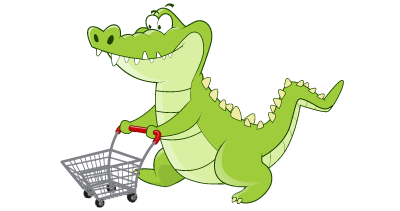 Loyalty Gator can help you retain your most valuable customers. From your website, customers can enroll for a membership card, check their point balance, and review rewards available to them, increasing your website frequency. A great place to promote special offers for loyalty members and entice new customers to sign up. Have a personalized email automatically sent to each customer immediately after every transaction - it’s free! A great way to thank them for visiting that day and keep them thinking about you. You can also include a special offer inside! Add incentives like extra points on slow-moving products or off-peak days to encourage increased traffic and spending. Loyalty rewards are an attractive selling tool to new prospects and enticing feature to previous customers that you haven’t seen in a while. Discover your most loyal customers. Track your customers' visits, frequency, money spent, and more valuable data with our marketing reports. Anticipate sales trends, see where your marketing dollars are most valuable and segment your customers for target marketing. 73% of marketing managers of various large companies credit "repeat purchase behavior" as integral to the definition of successful customer engagement. - Forbes Magazine. It costs 6-7 times more to acquire a new customer than retain an existing one... A 5% reduction in the customer defection rate can increase profits by 5-95%. - Bain & Company. A 2% increase in customer retention has the same effect as decreasing costs by 10% – Leading on the Edge of Chaos, Emmet Murphy & Mark Murphy.